The primary aim of the Scientific Information Resource Centre (SIRC) - library is to develop, organize, preserve and deliver information and scholarly resources for the NCBS community. To these ends, the SIRC explores and implements new technologies to provide effective information services, expand the library’s resource collection, and develop a librarian-user partnership. The library has extensive print and electronic collections including about 6500 books, 11000 bound journals, and a CD/DVD collection of other educational resources. 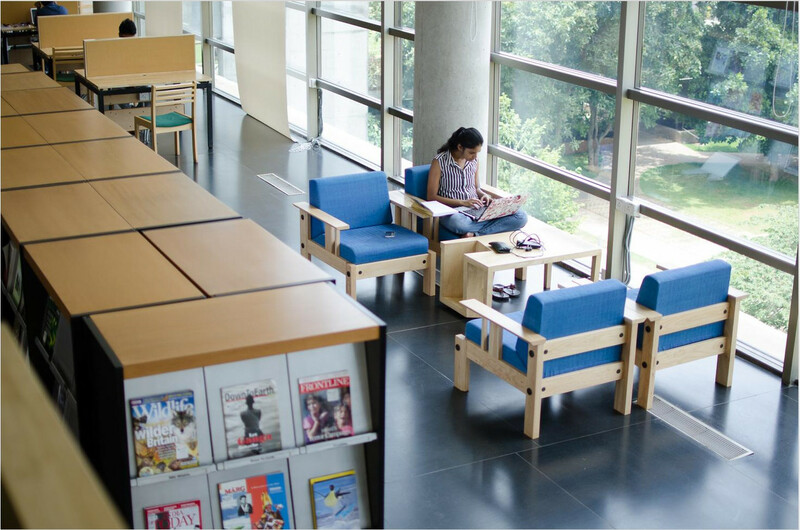 The SIRC subscribes to 95 print journals and multiple electronic resources, participating in consortiums such as TIFR, DAE and UGC-Infonet for expanded access. The SIRC also subscribes to magazines and newspapers of general interest and offers additional services including referencing, scanning, off-campus access, inter-library loan and document delivery. The SIRC also provides hands-on training to final year post-graduate students of Library & Information Science under internship programs with various universities in Karnataka. Support facilities include wired and wireless internet, computing and audio-visual facilities, printers, scanners, and an online catalogue. The SIRC is open every day, year round.